There are some friends of ours that I’d like you to meet. They are Scarlet’s BFFs. They smell just like her. They sleep with her every night. She makes them little houses and carrying cases out of every cardboard box that arrives, they each have their own voice, and without them she would be unable to sleep a single wink. Please meet Haunny, Buffy, and Fluff. Haunny came to us many years ago, along with a book about Hannukah. 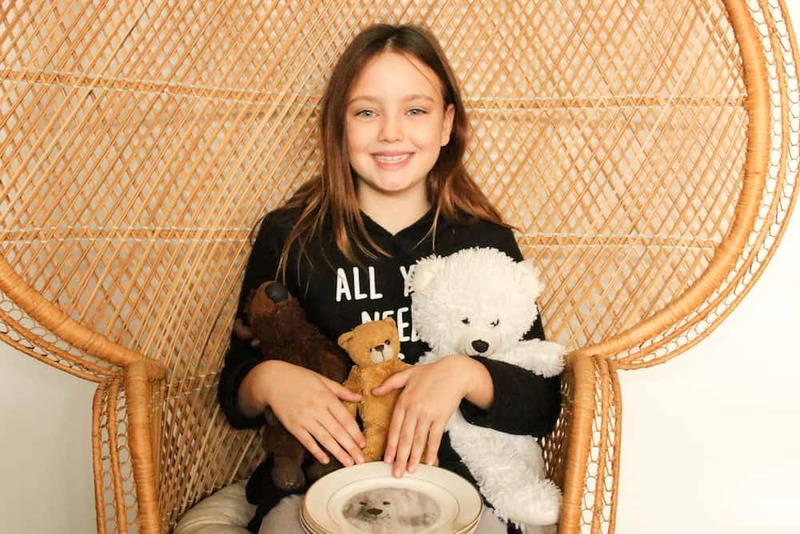 Scarlet called her Hanukkah Bear, and eventually the name was shortened to Haunny. Haunny once disappeared, it was a TRAVESTY of mythical proportions. There was no sleep, no peace, no comfort while Haunny was gone. But then we came home from school one day and Haunny was sitting on our front porch with a note saying he was sorry he left abruptly, but he had to go take a trip, and was thankful to finally be home. You can imagine how that happened.. and it worked ;). Buffy is from the annual South Dakota buffalo round up. Of all the trips I have taken all over the world, and all the little treats I have brought home for Scarlet, I never would have imagined that a stuffed buffalo from South Dakota would end up being her very favorite possession. 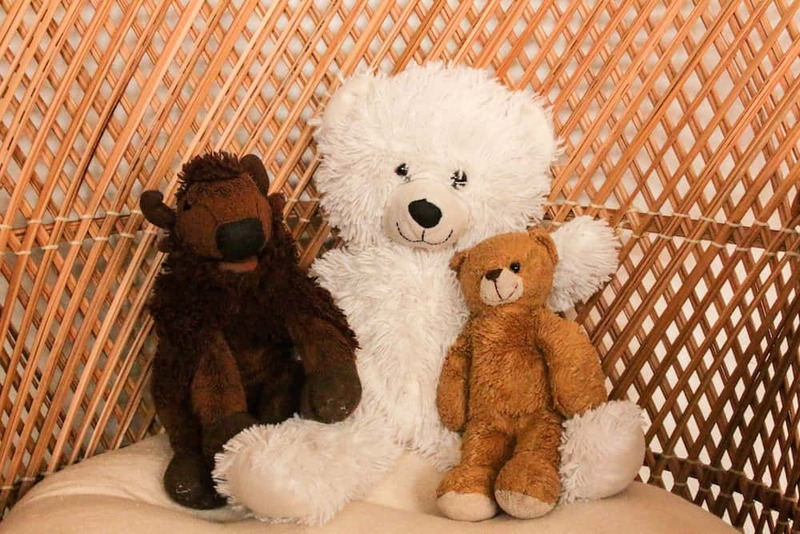 Buffy is the leader of this group, the toy she takes to a slumber party (“Mom, I know lots of kids sleep with stuffed animals, but they usually don’t sleep with three! Can you cuddle Haunny and Fluff while we are gone?”) and the first one she picks up in the morning. Buffy is a snuggly embodiment of Scarlet’s very heart, and also Buffy has never been washed. Fluff is the most recent addition, who came to us via a birthday delivery of balloons from my sister and her wife. One of his arms is always stuck up in the air as though holding a balloon or giving a very meaningful speech. I don’t know how Fluff made it to the highest tier of Scarlet’s stuffed animal friends, but I suspect it is because Fluff is very, very soft. Do not refer to Fluff as “Fluffy,” he does not like that. As you can see, Haunny, Buff, and Fluff have been well loved. I have started enjoying taking portraits of them. For me, they have very real personalities that come through in their photos. I know their voices, their thoughts, and their places in Scarlet’s heart. 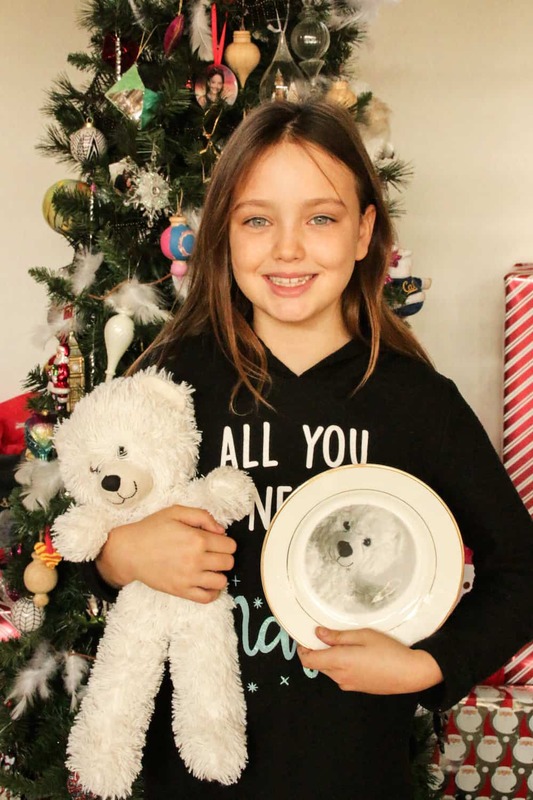 So when CVS invited us to create a photo gift I knew I had to put their sweet faces on something, and after much deliberation over their photo gift options, I chose plates. We can hang them as decor in her room, and she can also serve her babies from them at her tea parties. She loves them. 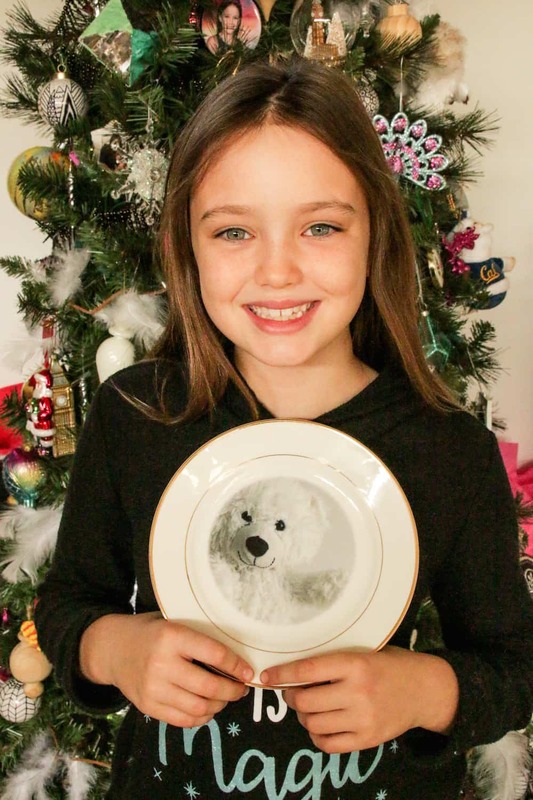 The animals and the plates. You can order a porcelein photo plate from CVS.com/photo. 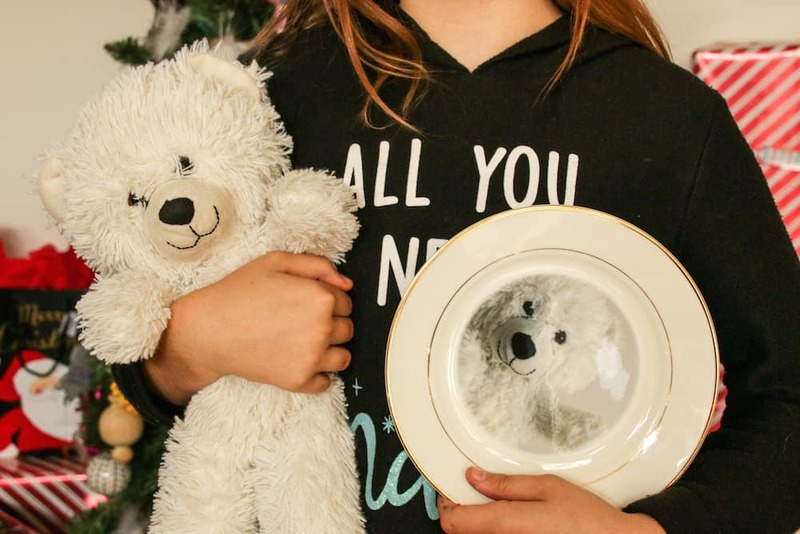 Where you find the stuffed love of your little one’s life, that’s a something only your child will know. It’s pretty silly, but pretty cute, right? Anything for a smile like this one. Disclosure: I’m proud to partner with CVS Pharmacy for the Bring Holidays to Life campaign. I am being sponsored by CVS Pharmacy for my posts and activities, but all opinions expressed are my own, and all product claims or program details shared should be verified at CVS.com or with the appropriate manufacturers.